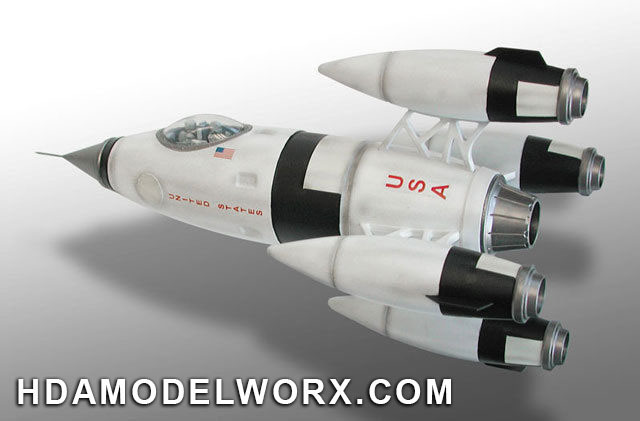 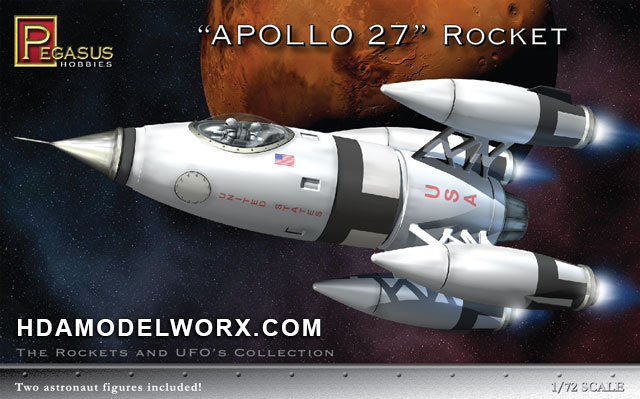 Inspired by the classic rocket designs of the old TV shows and movies. 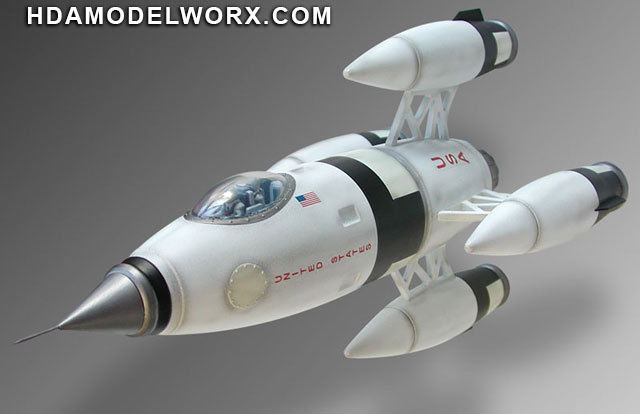 Comes in white plastic including decals and assembly instructions. 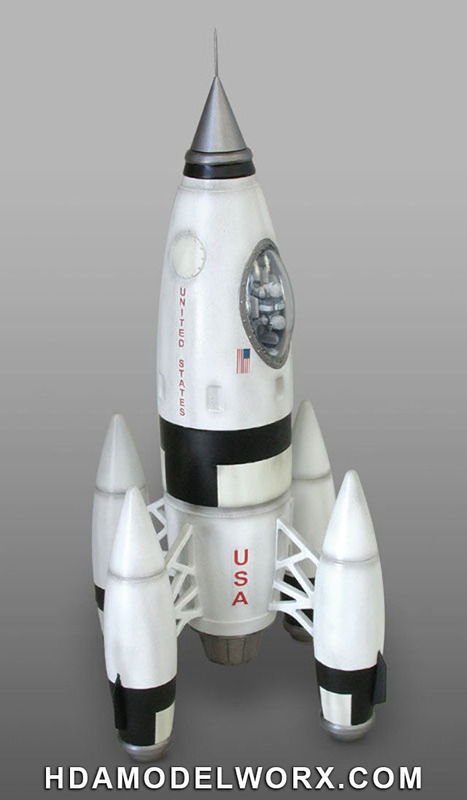 Kit includes: 23 pieces molded in white plastic with plastic clear part.